It's Hearthstone's Free Pack Day and that means all Hearthstone players can pick up a free Golden Classic Pack today, no strings attached. As noted last week, Blizzard has brought a lot to Hearthstone with the 11.2 update. The Taverns of Time event in Arena is already underway and there's a neat ten-pack bundle available until next week. But those looking to get something a little extra for no extra charge can do so right now. That free Golden Classic Pack that was mentioned during the update's deployment? That's ready to be claimed right now. To pick it up, Hearthstone players simply need to log in to the Blizzard App. Look on the top-right corner for the gift icon and click it. 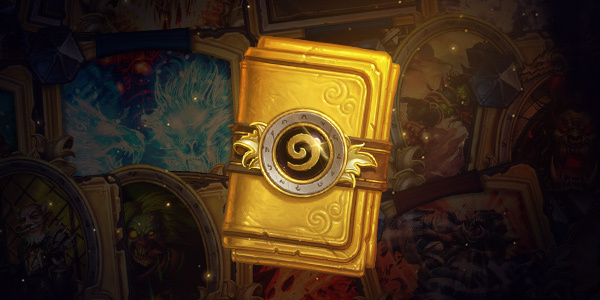 Claim the free Golden Pack there and boot up Hearthstone, as usual. This pack contains five guaranteed Gold cards from the Classic set. Even if it yields a standard four Commons and a Rare, that's still five Golden cards. That means it's either something really shiny to look at or something that will yield more dust than a normal card. Enjoy your free Golden Classic Pack and, for more on Hearthstone, stay tuned to Shacknews. I think it’s only available today so log in people! Hey Mr Cat, what decks are working for you? I have just been playing even shaman still. Hardly anyone seems to play this deck, but it's clearly tier 1 and I so far have a 71% winrate. Decks I'm trying to counter are: miracle rogue, recruit hunter (spell hunter is a lot worse though), shudderwock shaman, taunt druid. Decks I want to dodge are: quest warrior, even/cubelock, jaina mage, basically decks with lots of aoe. i dont play hearthstone, but i love PSAs like this.